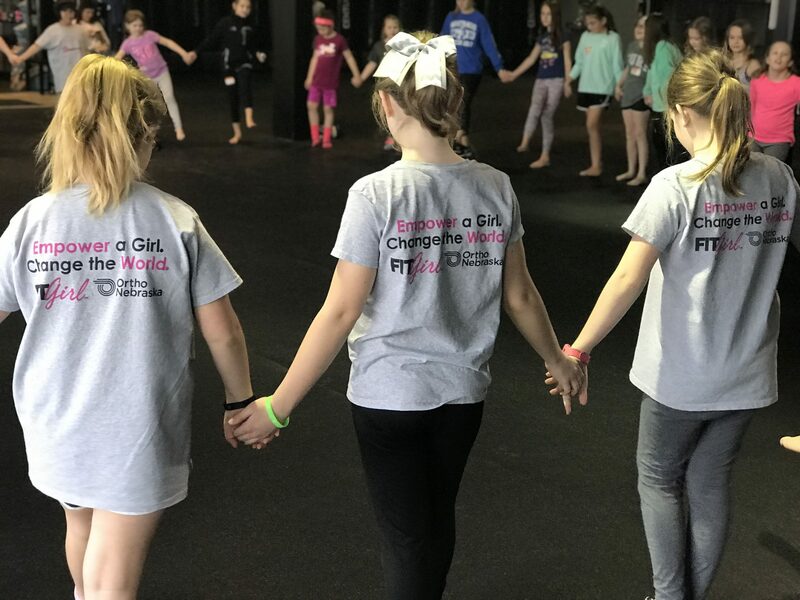 As early as 10 years of age, girls begin to become more sedentary, their activity levels dropping as much as 83 percent as they transition through adolescense. By age 14, only 1 in 10 girls are doing enough physical activity to benefit their health, compared with roughly twice the number of boys of the same age. 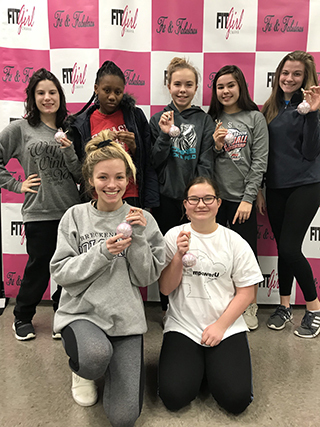 FITGirl, Inc partners with local colleges and univerities because we feel female athletes make great role models for adolescent girls by promoting physical activity and involvement in sports, confidence, a strong work ethic, and emphasizing the importance of education. Become more physically active, working their way up to getting 60 minutes of exercise a day…and staying active for life! Develop and maintain self-respect, self-confidence, and a positive self-image. Understand the connection between mind and body. Internalize the message that there is no one “ideal” body type. Begin to understand the consequences of and explore alternatives to health-risk behaviors. Gain developmentally appropriate knowledge of nutrition and the health benefits of physical activity. Increase their motivation to participate in sports and other kinds of physical activity. Be able to respond positively to peer pressure. Build positive relationships with adult facilitators and the peers in the group. Build leadership skills and serve as role models for other girls to get physically active. Learn how to set goals and work towards achieving them. BONUS! As part of our FITMind(TM) initiative, girls registered for EmpowerU will get to participate in a 45 minute YOGA AND MINDFULNESS class. Meet athletes from Creighton, UNO and College of St Mary! Fun games, new friends, music, fitness, prizes and more! LESSONS: Bullying, Nutrition, Body Image, Diversity, Teamwork, Kindness, Difficult Feelings, Self Care, Digital Media Smarts, Confidence! Different speakers every week – a new activity every week! FITGirl is Fun! We want girls to see exercise as something fun to do, not dread. Our staff and volunteers are energetic, caring, enthusiastic and care passionately about making a difference! Each lesson also contains a “Try @ Home” activity. This is an activity girls should do at home on their own between sessions, working eventually toward a goal of being active 60 minutes a day. Programs are held at our NEW Empowerment Center. Located off 156th & Maple (15505 Ruggles Street, Suite 108). Teen Mentorship Program is Full! Registration for Fall Classes begin in July. FIND OUT MORE ABOUT THE TEEN MENTROSHIP PROGRAM! Classes run Feb 3rd-Aprl 28th. The objective of the 12 week EmpowerU Mentorship program is to provide adolescent girls between ages 14-18 years an opportunity to participate in a coordinated, ongoing series of high-quality activities and learning experiences that help them to achieve social, emotional, and physical well-being.